The Saygus V2 is a phone we haven’t talked about much here at Droid Life, but it’s clear from our inbox that many of you are interested. And you know what? I get why you would be interested – this phone tries to pack it all (seriously, all of it) in at a reasonable price. So because we don’t want you to miss out on an opportunity to be one of the first to own it (and with a discount), we wanted to point out that pre-registration for the device is now open until February 2. If you pre-register, you will have an opportunity to buy the phone for $549, which is a $50 discount that also includes an extra battery and a “specialized” glass screen protector. The suggested retail on this phone is $900, so $549 sure looks like a deal. After February 2, though, the phone will still sell for $599. 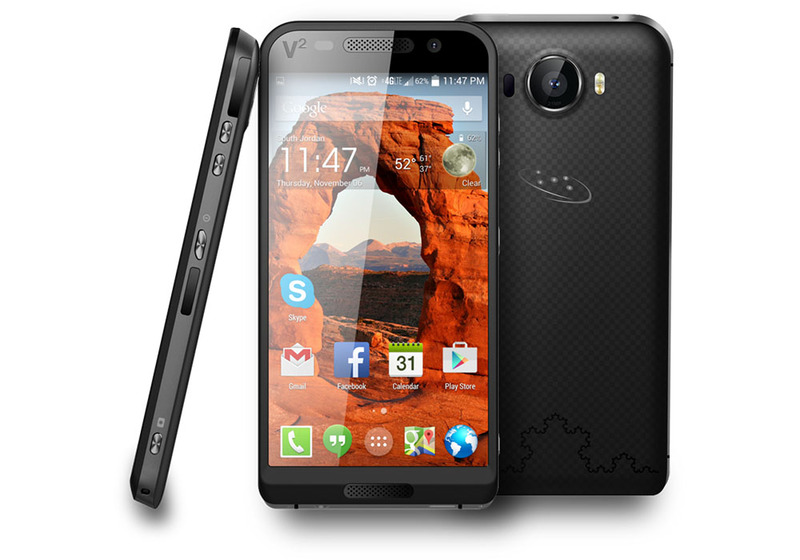 So what is the Saygus V2, and why is everyone excited about it? It’s pretty simple. There might not be a spec or feature that this phone doesn’t include. It literally manages to check all of the boxes for “best phone ever,” well, except for that whole tasteful design thing, but that’s obviously a personal opinion. The Saygus V2 comes to us from a US-based mobile phone maker that has, again, tried to build the best phone ever, with specs that come close to blowing every other phone out of the water. The V2 (pronounced v-squared) has an edge-to-edge 5-inch 1080p display with “sunlight viewable screen,” Gorilla Glass 4, and both front and back light sensors “for enhanced screen lighting control.” It’s rear camera is a 21MP sensor with optical image stabilization (OIS), which is joined by a front 13MP shooter that also has OIS. A physical camera button is along for the ride as well. The phone has 3GB RAM, 64GB onboard storage, dual-micro SD slots (expandable to 256GB), a 2.5GHz Snapdragon 801 processor, GSM/CDMA/LTE connectivity, “Fractal Antenna Technology,” IR transmitter, “60GHz wireless gaming and mobile beaming,” biometric fingerprint scanner (on the side), dual front facing Harman Kardon speakers, noise canceling technology, 3,100mAh removable battery, wireless Qi charging, IPX7 waterproofing, and more. Seriously, try to take all of that in for a second. On a developer front, the phone (the “developer” version) will come with root access and can multi-boot because it supports booting from SD. The phone and its situation has that Kickstarter or OnePlus feel to it, in that it’s a product that is real, but its creators are trying to gauge interest before they start making thousands of them. They are trying to promise the world, just like similar projects have done in the past, so for their sake, I hope they can deliver. The phone certainly is an attention grabber. As you can imagine, we have remained somewhat skeptical about the entire deal, but with registration upon us, it’s time to start watching closely. Pre-registration happens at the link below. Basically, what you are doing is showing interest ahead of time which then should give you an opportunity to buy the phone at $549, whenever it’s ready. Pre-registration ends at noon on February 2, so you may as well put your name in. No money is required at this time.